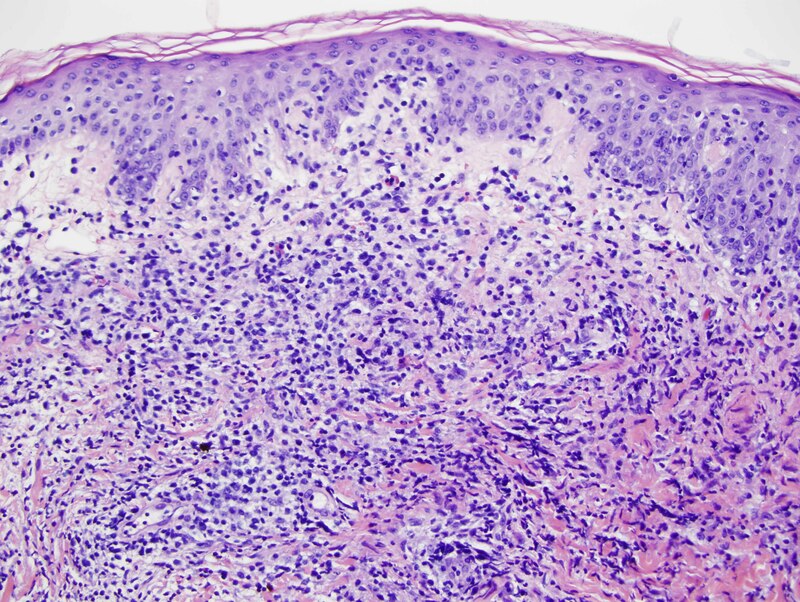 The patient is an 89 y/o male who presented with an explosive onset of a generalized skin rash that clinically resembled pityriasis rosea. The rash differs from classic pityriasis rosea as a number of the lesions were fairly infiltrative plaques and as well there was a plum-colored nodule in the wrist area. The patient otherwise feels well. 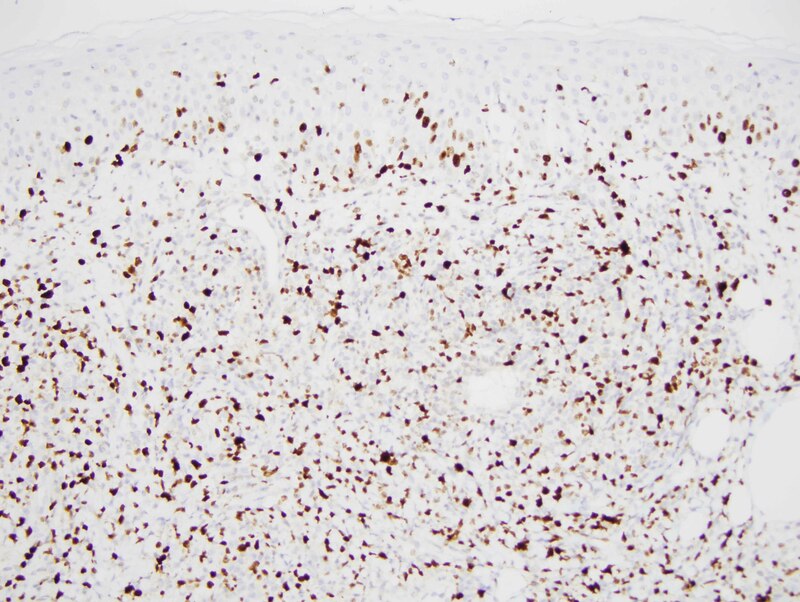 Large cell transformation is a feature of this particular case. 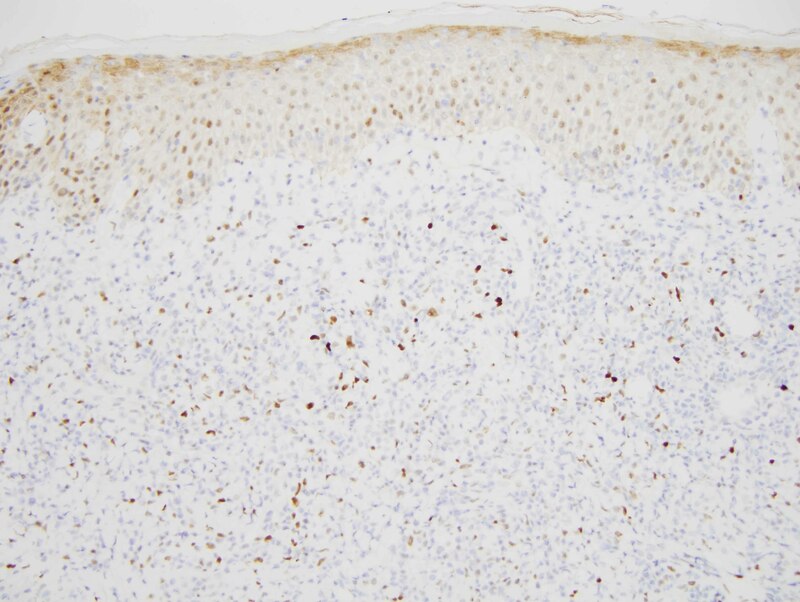 We have encountered large cell transformation in the past in epidermotropic marginal zone lymphoma. 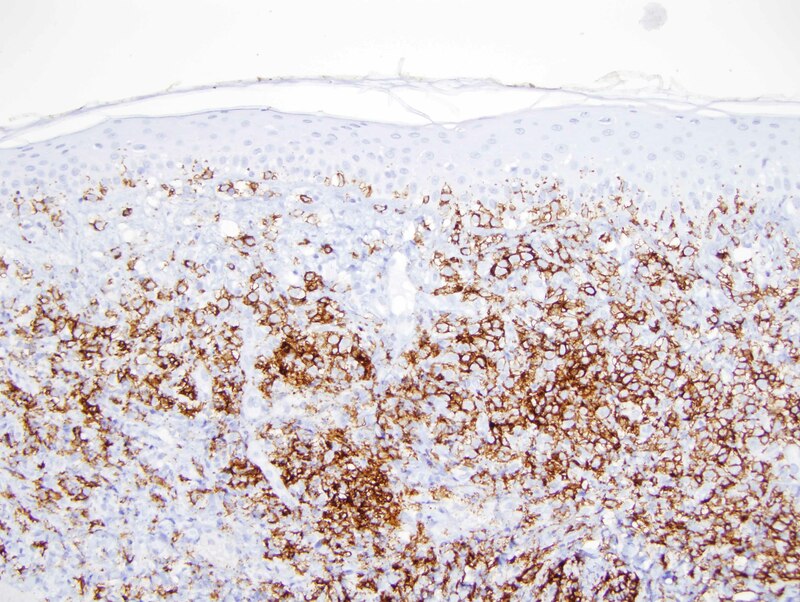 A very unique feature of this case is the angioinvasive and perineural invasion in a fashion somewhat reminiscent of the type of angiotropic B-cell lymphomas that occur in the setting of lymphomatoid granulomatosis. 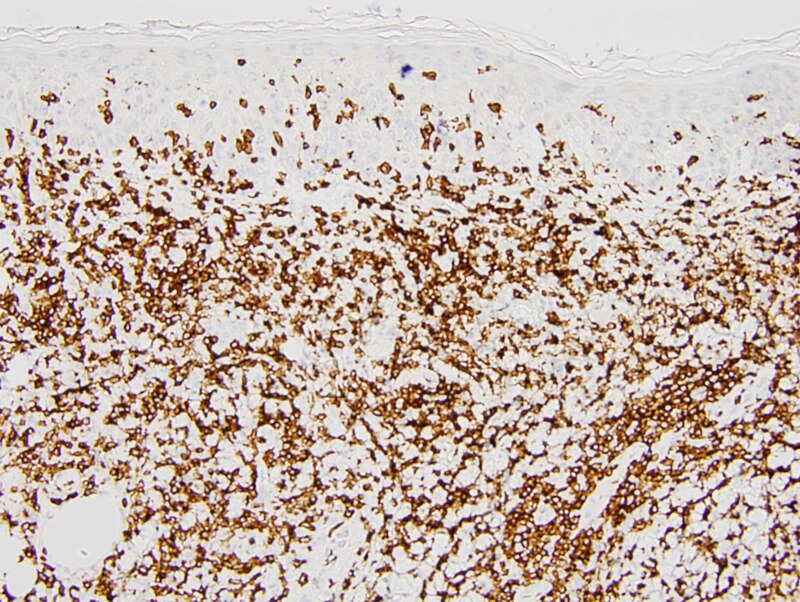 The concept of epidermotropic B cell lymphoma as a distinct form of B-cell neoplasia is an emerging one. 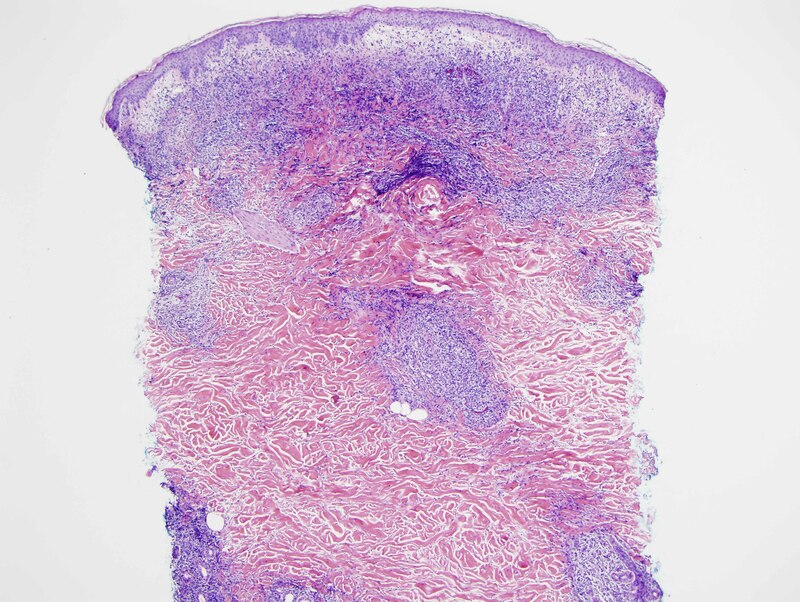 There is almost exclusive involvement in older men presenting with a distinctive pityriasis rosea-like rash. These patients are often times otherwise asymptomatic although investigations frequently do disclose splenic involvement as well as bone marrow involvement. 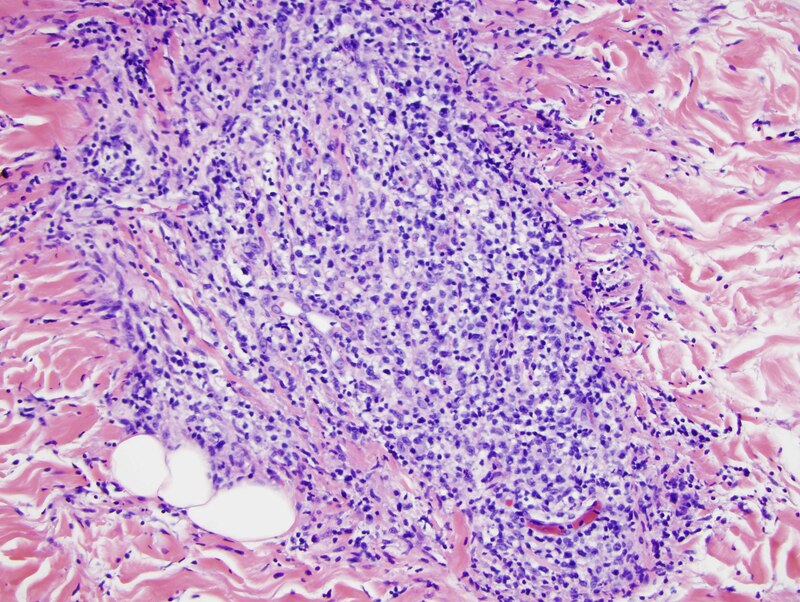 The clinical course is one that does respond very well to chemotherapeutic intervention with an overall excellent prognosis despite clinical and h stomorphologic features that could be indicative of a more aggressive clinical course (i.e., the degree of angioinvasion and large cell transformation).